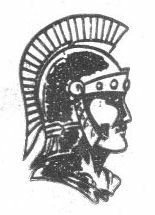 Carman-Ainsworth High School – Class of 1987 reunion will be Aug. 4 at the Woodfield Country Club Pavilion in Grand Blanc. Cost: $40. Payment should be payable to Lori Hubbard, at Carman-Ainsworth High School, Attn: Lori Hubbard, 1300 N. Linden Road, Flint MI 48532. A photo show of classmates is being compiled. Photos should be e-mailed to Lori at lhubbard@carman.k12.mi.us, Dawn Johnston (McCann), (251) 923-7652 or dmm_@hotmail.com or Shari Warezk (Lurvey) swarezak@yahoo.com, (313) 886-3336. Register at www.carman-ainsworth-1987. OK Class of 1985, now is the time to start planning for our 25th Class Reunion in 2010. Anyone who would like to volunteer for the Reunion Committee, please contact me at: sgarza66@hotmail.com. The more people we get to help and plan for the reunion, hopefully the better turn-out we’ll get at the reunion. I can’t believe it’s coming up on 25 years of being out of high school. Let’s plan to get as many people there as we can.